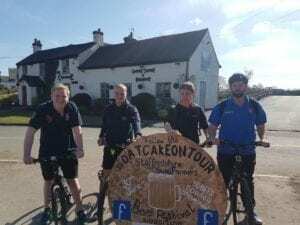 For the #oatcakeontour four of the Ashley members decided to bike from the Chetwode Arms in Pipe Gate to the Lazy Trout in Leek 45km and with a little bit of bad map reading they ended up doing 54km. 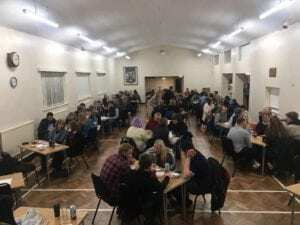 They raised £310 and with the amazing Pie, Pint, and Quiz the night before, which was a really good night enjoyed by all of the community we made £575.50 taking the total we raised to £885.50 for the Young Minds charity. This gives great kick start to the #oatcakeontour. Thank you everyone who helped out with special thanks to the Hampton family, Wright Pies and John and Kelly Slater.